Strona główna › Nowości i Artykuły › Gołębie i Gołębnik › Things were a lot different around 1900 but was it better? Things were a lot different around 1900 but was it better? 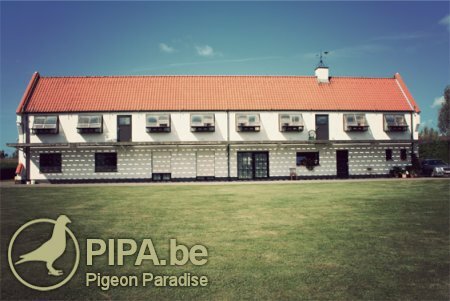 On the other hand we also noticed that there were a lot of practices in pigeon racing around the turn of the century, which were mainly based on a general lack of knowledge. Surprisingly enough, Dr. Pelt, the writer of the book that we are reading right now was an educated man and he was smart enough to write down his own experiences and everything he knew about pigeon fancying. They were right about a few things, for instance the advice about humidity. Back then people already knew a lot about this subject, just as much as we know today. Humidity has always been considered a pigeon’s worst enemy. The writer of this book was spot on. In that same paragraph about humidity we also read something else: “Try to avoid even the slightest draught.” This proposition is based on a lack of knowledge, both of the fanciers and the biologists of that time. 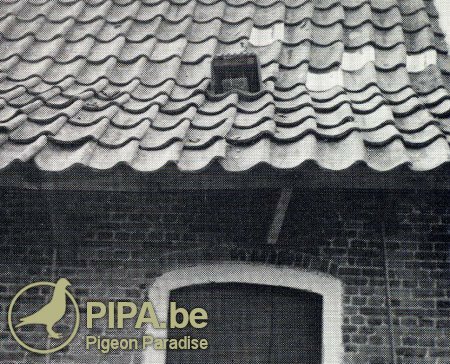 Back in those days people did not know a lot about pigeons and they had never heard of aviaries with two or three open sides etc. We know that many fanciers still think the same way. In fact we also advise people to avoid draughts in the loft. Nevertheless, avoiding draughts is not the same as sealing off all the air holes in the loft, as was advised in the paragraph above. This morning the temperatures were again above zero; a few hours later we could clean out the lofts. Meanwhile the temperature is 5°C and the two windows in the widowers’ loft, one of which had been closed during the freeze, are again slightly opened. This means that there is a 5 cm slit from top to bottom. In the case of heavy wind the pigeons might be blown off their perches but we don’t mind that. The only reason why we would close off holes and windows is to avoid water. The rest does not really matter. The weather conditions make the pigeons strong and there is no harm in getting a bit wet; it is useful for the future. It is vital for every living creature to toughen up during their development. Birds that are not used to wind or rain are not very useful. We close the windows only when the widowers are placed in widowhood, just to keep the loft warm and quiet! If we would construct a new loft in the future, which is not inconceivable, we would build it in such a way that the windows can be opened without having snow or heavy rain come inside. Outside the racing season, fresh air is of great importance for the pigeons. “If you have taken the necessary measures in the loft itself, it is time to make changes in the diet of your pigeons as well. There are differences in opinion about this topic. Some fanciers advise feeding the pigeons twice a day: a small portion in the morning and a full portion in the evening. Some others believe that you should only feed your pigeons once a day, in the late afternoon. We think every fancier is free to decide what is best for his pigeons, as long as he does not overfeed them: 25 to 30 grams per pigeon is more than sufficient. 30 grams is only necessary in very cold weather. If the weather is fine in winter we would even lower the daily portion. After all, the main goal now is to keep the pigeons healthy and strong. They do not need a lot of feed, because they do not have any training in winter. A good daily portion could be composed as follows: 25% wheat, 25% corn, 25% pearl barley, 12.4% beans and 12.5% vetch. The idea of feeding our pigeons once or twice a day during the winter has remained the same. In fact nature tells us what is the best for our pigeons. Everybody can figure out that it is advisable to feed them twice a day, if possible: a half portion in the morning and a portion in the afternoon (around 3 o’clock). A single portion of feed a day seems to be against their nature. In addition, if you feed them too much barley in very cold temperatures there is a chance that the pigeons do not get enough calories. In fact we think that a portion of 25 to 30 grams is not enough in very cold temperatures. Our pigeons ate 35 grams around Christmas last year, when it was freezing outside. In fact they would have eaten more if they had been given more. Maybe pigeons were a bit smaller one hundred years ago, which explains why they ate a little bit less. We don’t think so. Pigeons are in fact a bit smaller compared to one century ago. It is remarkable that the diet of Dr. Pelt does not include any oat or barley. He mentions pearl barley (peeled barley), which we used to eat during the war and in times of crisis. Pearl barley is highly concentrated. This does not mean that it contains a lot of proteins but it weighs a lot more per hectolitre. So a 30 gram mixture without straw and peels (think of oat, barley, buckwheat, sunflower, paddy, etc.) is equally nutritional as a 35 gram mixture with straw and peels. The feed was in fact a lot lighter in the year 1900 but it was not varied enough and we think it lacks green peas. In addition there is no scientific basis for this diet. There was a lack of research so Dr. Pelt simply followed his instincts, which were not bad at all. It would take a while before barley and green beans were added to the average diet. Yet Dr. Pelt mentions the use of oat and barley, which he gave as a dessert in the evening during very cold weather. He was probably afraid of overfeeding his pigeons. In fact you cannot overfeed a pigeon by giving it a mixture of oat, barley and vetch. If temperatures are really low we would give our pigeons a few handfuls of corn. Corn is rich in fat, which provides the best protection against the cold, especially compared to proteins, starch and sugar etc. Feeding your pigeons a few slices of old bread does them no harm either; every fancier used to do it. It does them no harm but it is not very useful either. It is a better idea to give them some wheat; just look at its vitamin content. In addition, a mixture that pigeons really like is more nutritious. Highly nutritious products that the pigeons only eat when they are really hungry are in fact only as good as less nutritious products that the pigeons like better. This applies to animals as it applies to human beings. When we consider that one hundred years ago the pigeons had an open loft every day, there seems to be nothing wrong with their diet. In fact their feeding method allowed them to cover distances of 1,000km as well, just like today. Overfeeding was not an issue; simplicity and convenience were of prime importance. The open loft is something that is mentioned a lot in the book of Dr. Pelt. However, the system of widowhood was not discussed in his book. 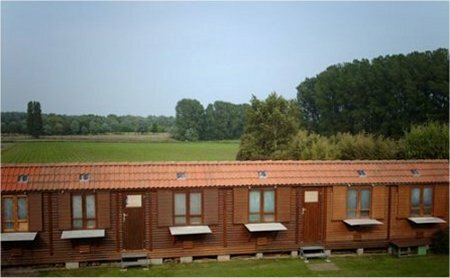 Ik lees telkens tegenstrijdige berichten als het over maïs gaat...: de een zegt tis beter van niet vanwege de moeilijke vertering van het vliesje en dat schijnt de stofwisseling nadelig te beïnvloeden etc. In dit art. hebben ze het over mais om dat het vetgehalte zo hoog is etc. Maar haver bevat een veel hoger percentage...toch? En wordt ook door vd Pelt genoemd..! Plus mais geef je toch om de glucose voorraad van een duif op peil te houden etc.